Heavy Chemicals – Coffee is the heaviest chemically treated food commodity in the world. The most common chemical used in coffee production is synthetic petroleum based fertilizers which slowly destroy the soil’s fertility and seep into local water supplies. 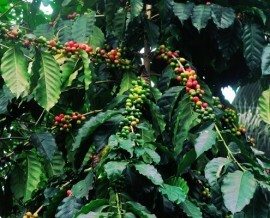 Deforestation – Coffee trees do not naturally grow in direct sunlight, but under the shade of dense rainforest. To increase productivity, the coffee industry has developed sun-resistant coffee tree hybrids that have come to comprise approximately 70% of the world’s coffee production. As a result rainforest is being cleared at alarming rates to make room for new, sun resistant coffee trees. Certified Organic – Certified organically grown means coffee that is 100% chemical free. Inspectors test soil, leaf, and beans for chemical residue; as well regularly inspecting roasting facilities. Certified organically grown means coffee that is 100% chemical free. Inspectors test soil, leaf, and beans for chemical residue; as well regularly inspecting roasting facilities. Shade Grown – Bella Tica’s source farms practice sustainable agriculture and only plant natural, shade grown coffee trees grown deep in the dense shade of the rainforest canopy. Fair Trade – All Bella Tica coffees are bought at a guaranteed premium. We want to know that the passion and hard work that goes into growing Bella Tica coffees will result in fair wages and better living conditions for our families.